A summer breeze at Lancing Beach, UK. 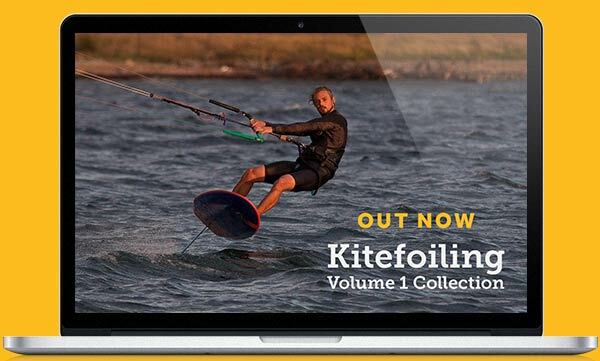 If you’re new to kitesurfing then you are likely to be already bamboozled by the unique terminology associated with the sport – beaufort scales & south-westers, chicken loops & donkey dicks…..One thing you may have heard people talk about, particularly during the summer months, is a “sea breeze”. 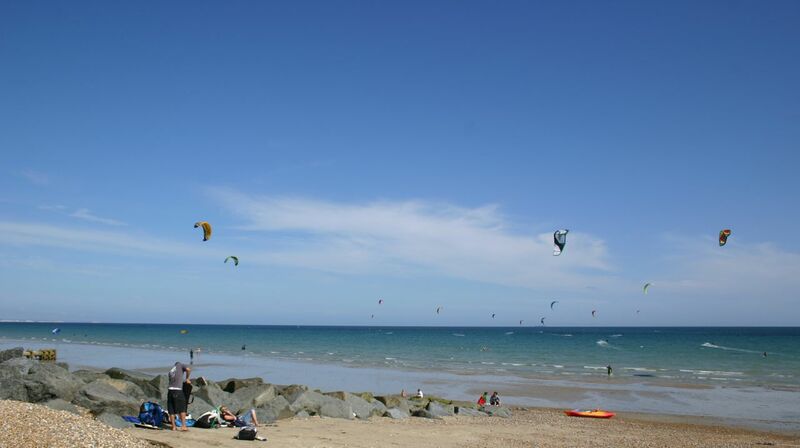 So here are a few facts and tips about sea breezes that will bring you up to speed and rigged up ready on the beach with the best of them to make the most of these brilliant summer conditions…. What is a Sea Breeze? The strength of the sea breeze is directly proportional to the temperature difference between the land and the sea so this gives you some idea of how to plan ahead for them…. If it is a hot and sunny day and you live in a country where your sea rarely reaches above 18 degrees centigrade then the chances of a sea breeze are high. If wind direction is already cross or cross on shore, even if its only blowing a gentle few knots, this will give the sea breeze a helping hand. Even if the wind is offshore, as long as it light, then it can generate some of the best sea breezes as it starts up the cyclic effect but if the offshore is over 15 knots then don’t get too excited! And surprisingly a dead onshore wind is more often than not a let down – it might tempt you with an increased 10 knot breeze but it rarely rises to much more and just frustrates the hell out of you! Some spots rely purely on this effect and can reliably do so because of the consistent appearance of the sun. 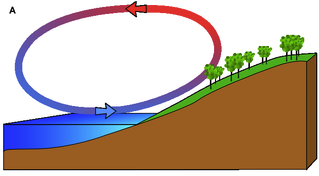 Other land features can enhance the thermal effects further – mountains or channels specially. The South Downs which run along the South Coast of England aid in giving places like Brighton & Worthing amazing summer seabreezes. 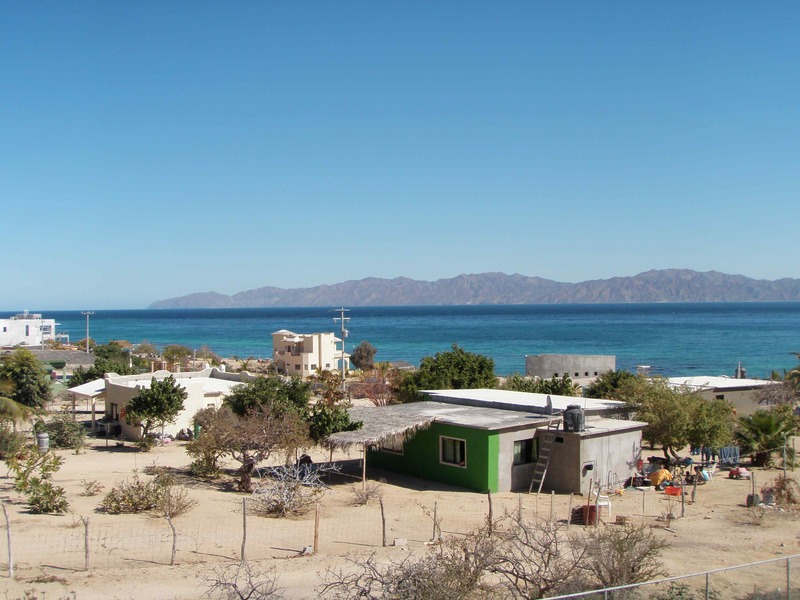 The channel between Baja and mainland Mexico helps La Ventana to get consistently strong cross shore winds thought winter season. 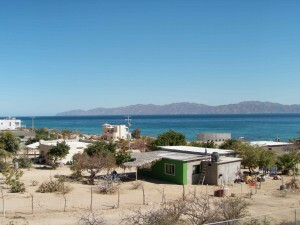 Check out the wind line approaching in this picture of La Ventana – it can turn on like clockwork every afternoon!! Some spots that have good ‘natural’ wind can also benefit from an extra boost in wind from a sea breeze effect. Places like Cape Town for example see this a lot due to their hot weather and cold water – 5m kites are the norm here as it “f@*king nukes” on days like that! Seabreezes can be light if the sun gets interrupted by patchy cloud or the natural wind direction holds it back, but this doesn’t mean you can’t get out. We have some tips for light wind riding in our blog next week so keep an eye out for them if you want to improve your technique. 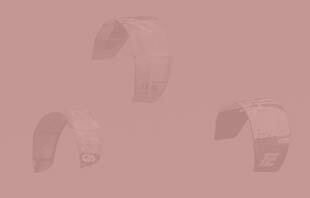 It may seem impossible that the wind can go from zero knots up to sometimes high twenties or early thirties but it does happen. Often people are caught out, rigging large kites or only bringing one size of kite to the beach. Although its tempting to get out and make the most of it, it can be useful to wait for an 1 hour for the wind to build and then make your decision on which kite to take. The wind will also be cleaner and smoother which is definitely worth the wait, if the forecast says sun all afternoon then its likely it will only get better. Sea breezes can also drop off quickly as the day starts to cool. I have had to self rescue myself when a sea breeze dropped – and then the wind flipped round to off shore! As with any session, keep an eye on the wind and the clouds, and come in as soon as it starts to lull as it can quickly drop from there – much more so than on ‘normal’ wind days. There are also usually a load of other beach users enjoying the sunny weather so keep their safety front of mind and if there are designated areas for bathers and kiters then stick to them. I personally LOVE seabreezes as it basically means Kitesurfing in the Sunshine, and as this type of wind is rarely forecasted it kind of feels like a bonus session! Where so many of us, across Europe at least, will have to put up with grey rainy miserable low pressure weather systems to get any good surf in, sea breezes make you feel like you are kiting on holiday. Finish it off with a beer on the beach with your mates, now really, what more can you ask for? ?